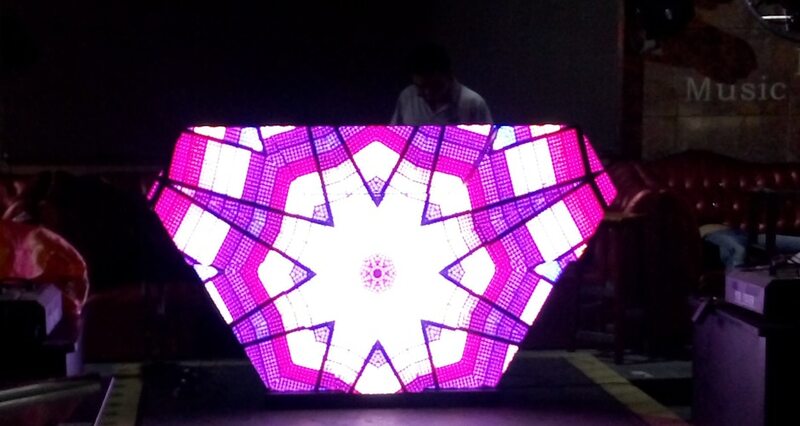 DJ Booth Screen is always a better option for permanent installation or rental use. 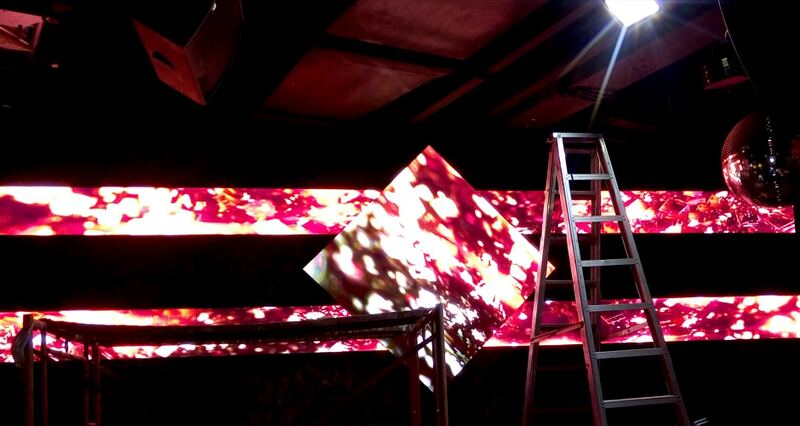 Quickstep to install the display module of a custom size: apply the metal structure to the mounting surface which the panels can be magnetically attached to. 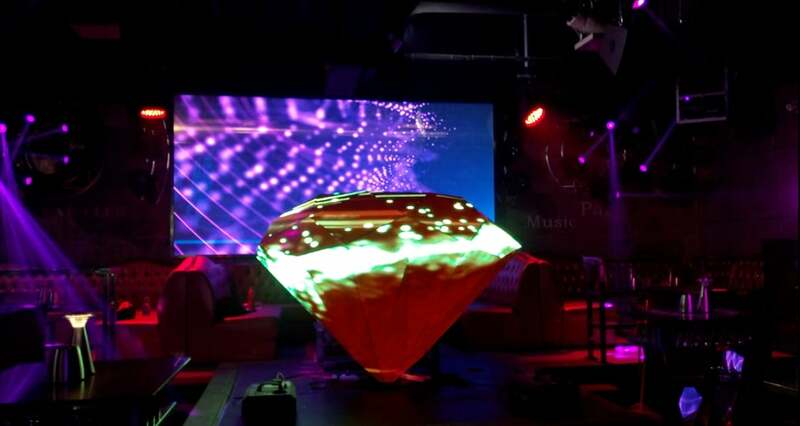 To create a diamond using DJ Booth Screen or more creative models for clubs and bars will no longer be impossible with customizable freeform LED elements. 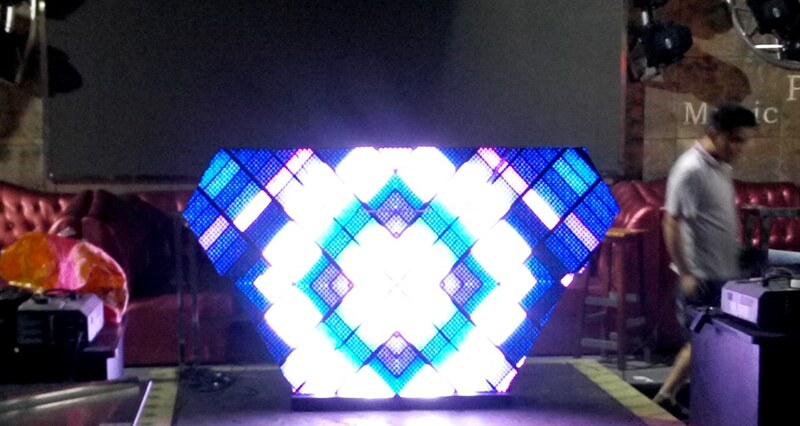 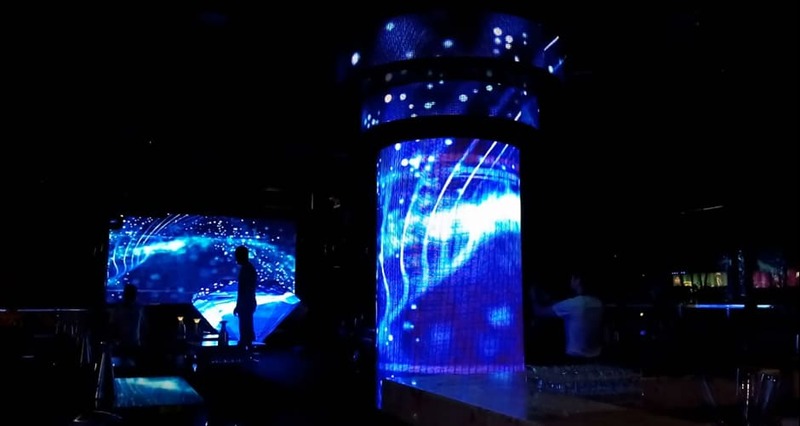 Use customization to create one of a kind club LED Screen for more visual impacts to come.